State-owned China Radio International on Sunday released a brief video clip of Heyit dated Feb 10. 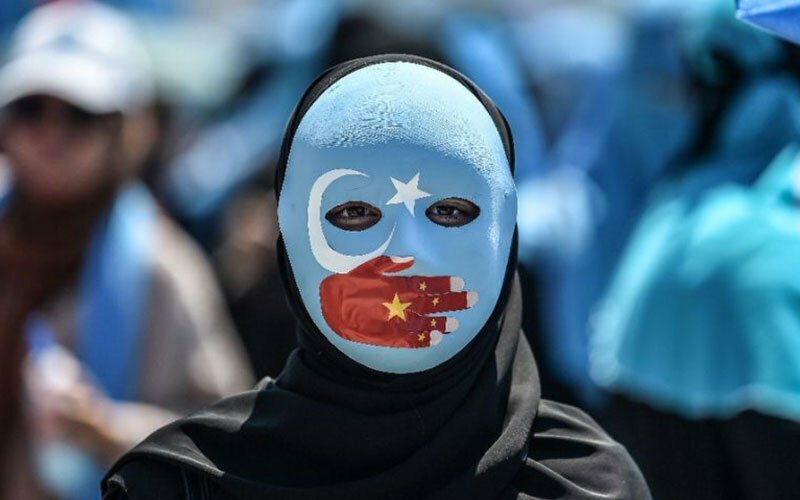 China has expressed its protest over the Turkish Foreign Ministry spokesman Hami Aksoy's claims that Chinese Uyghur "re-education camps" were "internment camps", the Chinese Foreign Ministry's spokeswoman said on Monday. In Saturday's statement, Turkey called on the worldwide community and the United Nations secretary-general "to take effective measures in order to bring to an end this human tragedy in Xinjiang". Turkey broke its silence this weekend over China's mass detention of Uighur Muslims, telling Beijing that its continued subjugation of the ethnic minority is "a great cause of shame for humanity". A Turkish diplomatic source told Reuters that while it was naturally a positive development if the video was "true" and Heyit was alive, the main issue the Turkish foreign ministry addressed in its statement was the "heavy violations" of human rights in China. "Even if it is the case that he is alive and that China seems to be scoring a point [by] calling out Turkey ... then that should not obscure the fact that he's being held incommunicado, which itself encourages these kind of rumours flying around." The spokesperson informed that China has taken many counter-terrorism and de-extremism measures in the region as it has faced grave terror threats since the 1990s which severely threaten the safety of all people in Xinjiang.